I’ve been on a bit of a posting hiatus for the past month. I hope you’ll forgive me; like everyone I interview for this site, I’m trying to be nine things at once: blogger, poet, nonprofit administrator, essayist, person who exercises, person who makes babka. I always feel like arguing with Deresiewicz is like arguing with a more prickly, aesthetically sensitive version of my dad. They’re both secular Jews who grew up in America during times when everything was changing, not just politically, but intellectually and culturally. For my father born at the end of World War II, the professional world was newly influenced by the G.I. Bill and the hundreds of thousands of new college graduates and professionals it produced, many of them children of immigrants. Deresiewicz, born in the mid-sixties, grew up and came of age as the literary canon and the art world were being challenged to include more women and people of color. Both those sets of changes, writ broadly — who has access to higher education and who defines what qualifies as art — helped upend notions of who was allowed to contribute to certain fields in certain ways. Certainly, we can connect those changes to how artists subsequently built careers. The opening of the gates of higher education to a broader population and the presence of external support from communities challenging the status quo make it desirable for the artist to work collectively, either as part of an institution or an extended network. MFA programs are a natural extension of the mid-century “professional” model of an artistic career that Deresiewicz describes. We gather in cohorts; we read each other’s work. We’re (sometimes) supported financially by an institution of higher learning, and the cultural capital we might pick up in those programs (like proposal writing) helps facilitate our getting other means of institutional support. But after the nurture of that pre-professional model, painters and writers alike move into the market, and, necessarily, onto multi-faceted creative careers, rather than limiting themselves to the one discipline they’ve dedicated 10,000 hours to. The “creativity” involved here includes promoting one’s work, finding a way to make a living, finding collaborators, and starting collectives to mimic the institutional models we’ve left behind. Deresiewicz may think this splintering spells the end of great, career-crowning works of art — Shakespeare didn’t write Lear while updating his website — but he hasn’t seemed to consider that maybe it’s the borders between disciplines that are fading, not the commitment of artists. I’m refreshed and relieved when my friends who are poets post a beautiful personal essay or piece of criticism, or suddenly out themselves as virtuosic pianists or engineers who have helped launch rockets into space. I quietly patted myself on the back when I learned the code to embed a Google calendar in a webpage. Why put ourselves in the ghetto of what we know, when there’s so much to learn? Perhaps I’m embodying some lamentable quality of the artists of my generation when I say some of my most exciting moments as a writer have been in the theater, or in the kitchen, or at contemporary music concerts, and that any chance I have to get out of the “way I work” as a poet and refresh my senses is welcome. That’s not quite what Deresiewicz means, of course: he means that too much is for sale. He might be raging against Taylor Swift or Vine stars in an article that will mostly be read by young sculptors and fiction writers. But he also seems afraid that if we all share what excites us, what makes our brains feel alive, artists might end up discovering that they like marketing or making pickles or fixing up cars as much as they like making art. Or the other way around! And then we’d lose that separation from the daily and the mercantile that is supposed to give Art its access to truth. I used to want to live in the woods and do nothing but write, but the last two things I’ve been proud of have been created in the space between sleep and the sign-out sheet at work, and that feels great. I’ve seen the extent to which writers with day jobs go to weave their art in and around those jobs, and around the business of art, and their work is better for it. Thinking too much about separating them often means that one will end up in a corner. Policing what kind of work gives us the buzz that means creation is happening is just a good way to be tired, when we already have so much to do. Do I, like Deresiewicz, feel that we need a vessel for our inner life? Yes, of course. 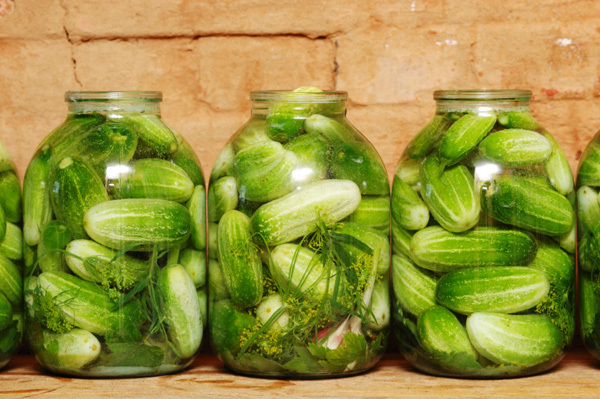 It’s just that some days, it might be a pickle jar.